Really enjoying the new Spurscast. Paul Garcia offers in-depth analysis and I prefer his neutral viewpoint. Great informative podcast. It's smart and zero. Please keep this podcast around for a long long time. You need sponsors too. Love this podcast! Funny & informative. This is just one of the many podcasts on ABPN that is full of great content. These guys are the hardest working people in podcasting. Don't the spurs have the best old colors in the NBA? They should switch back. Grey and Black? Garbage. Very informative Spurs podcast. Add this to your subscription! Even Pop would talk to these guys! The pod gets better and better every week. Great job guys. This podcast is a long, boring, and sleep-inducing show brought to you by two ADD morons who can can't stay on point for longer than 30 seconds before they start rambling about God knows what. When they do talk about the Spurs, their knowledge of the subject is disappointing. I'm a long time Spurs fan who follows any Spurs related news and social media and have been a long listener of this podcast. But I can't help saying that I'm disappointed with this podcast ever since the host changed. Most of the talk is not related to Spurs and just seems to be ranting about things we don't care. I don't even remember the name of host (sorry) but I miss the former host or the format/contents back then. I am almost at the point that unsubscribing this only the podcast about Spurs. It's sad. Great show for any Spurs fan. I love this podcast!!!! Spurs fan for life baby!! These guys give outstanding Spurs knowledge to listeners. It's a good listen to anybody that likes the Spurs or is just a basketball fan in general. Subscribe to this. GREATNESS JUST LIKE THE SPURS!!! These guys are great. I am a casual basketball fan, but I love hearing these guys break it down for me. This has turned me into a huge Spurs fan! No holds barred, they tell it like it is. These Guys Have A Passion for the Spurs!!! Want to know anything and everything about the San Antonio Spurs? Then look no further than The Spurscast. Michael, Jeff & Mike recap games, trades, rumors and hold nothing back! Want a True Fans perspective? Then subscribe to the Spurscast. I live in Pennsylvania, but have been a loyal Spurs fan for over 10 years. I have always wanted to hear other Spurs fans talk about the teams, games, players, etc., but have been unable to because of my location. This PodCast is perfect for out of town fans like to me stay up-to-date on the Spurs!!! So much more in depth than the NBA league pass is because you never know who's team's commentators you'll get. PLEASE keep this PodCast going, it's great!! 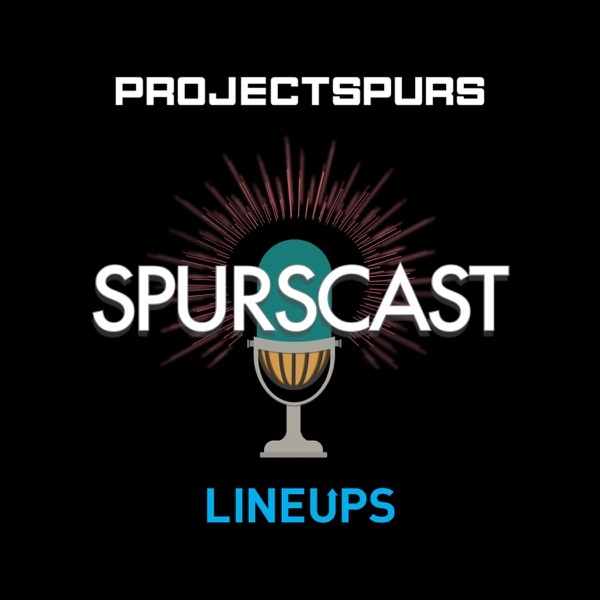 spurscast is exactly what I was looking for, a great podcast about the NBA champs. Podcast gives informational takes and opinions from people i can trust: spurs fans.